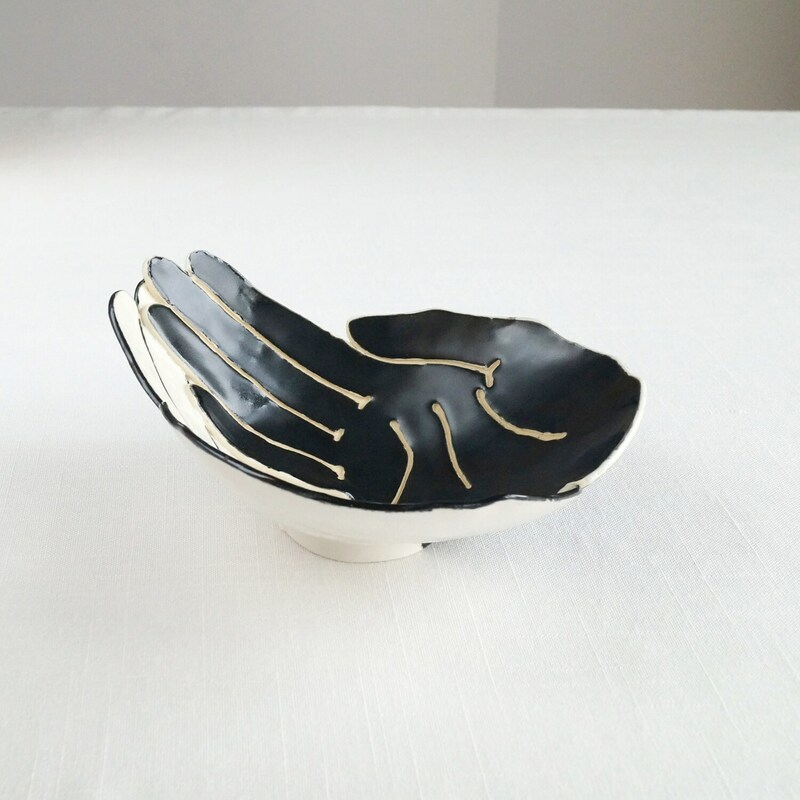 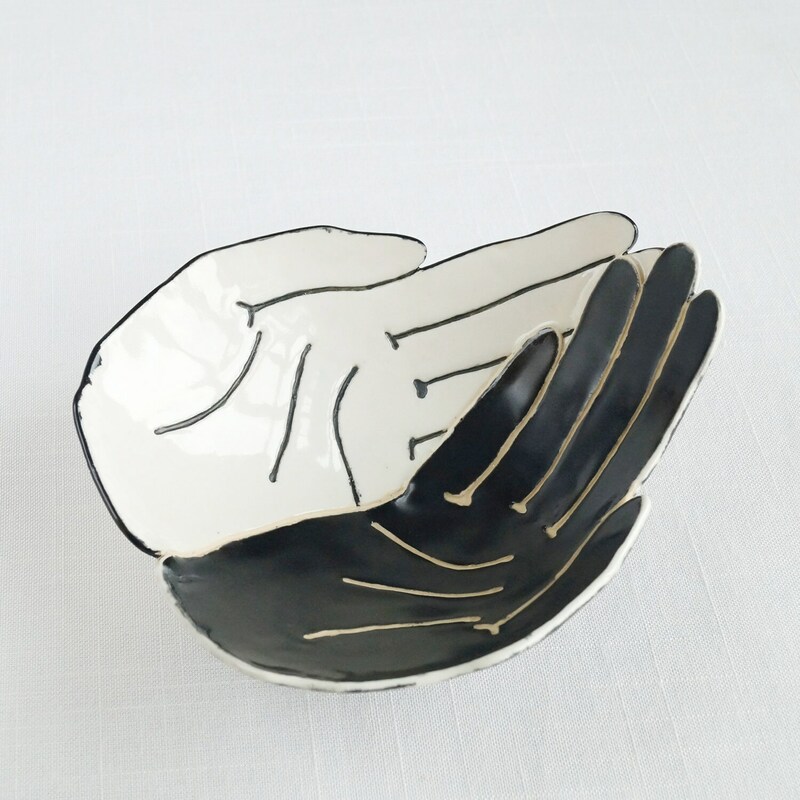 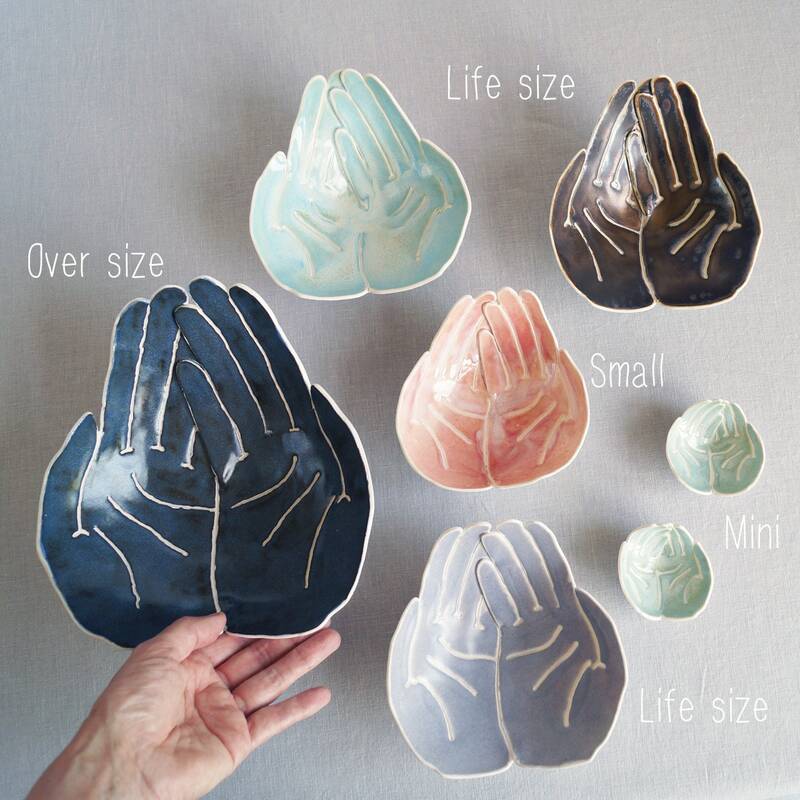 This zen bowl is shaped like two cupped hands, one white and one black holding each other. 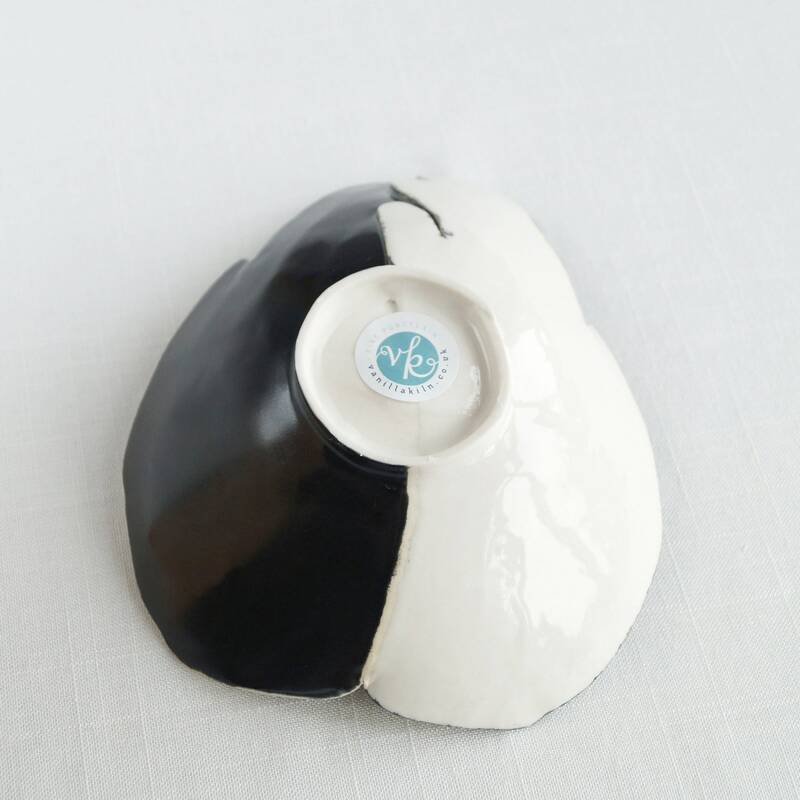 It is inspired by racial harmony and love. 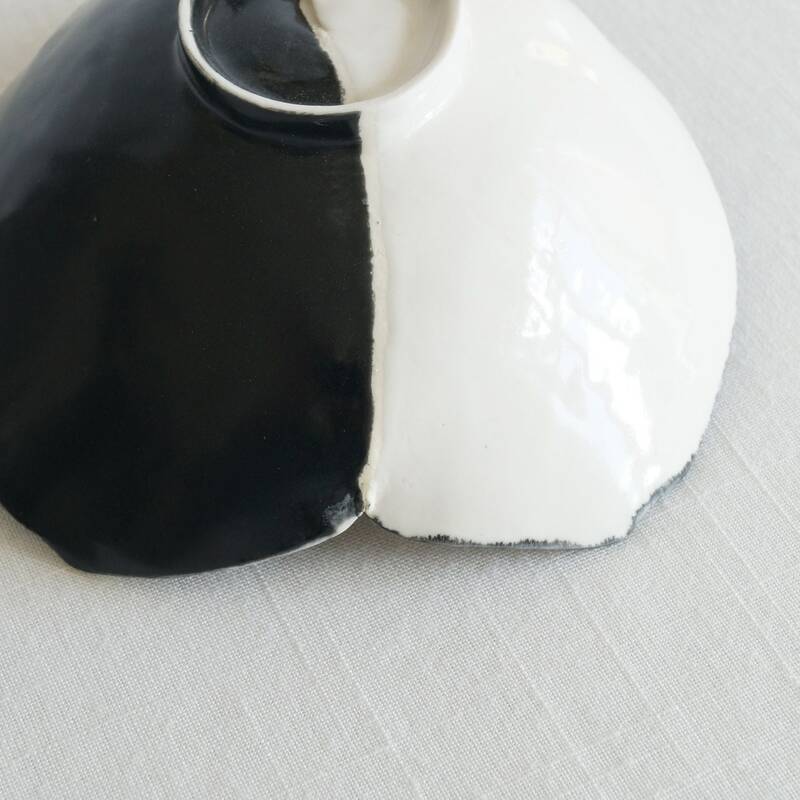 It also reminds me of yin and yang – the Chinese philosophy of opposites being connected and in balance. 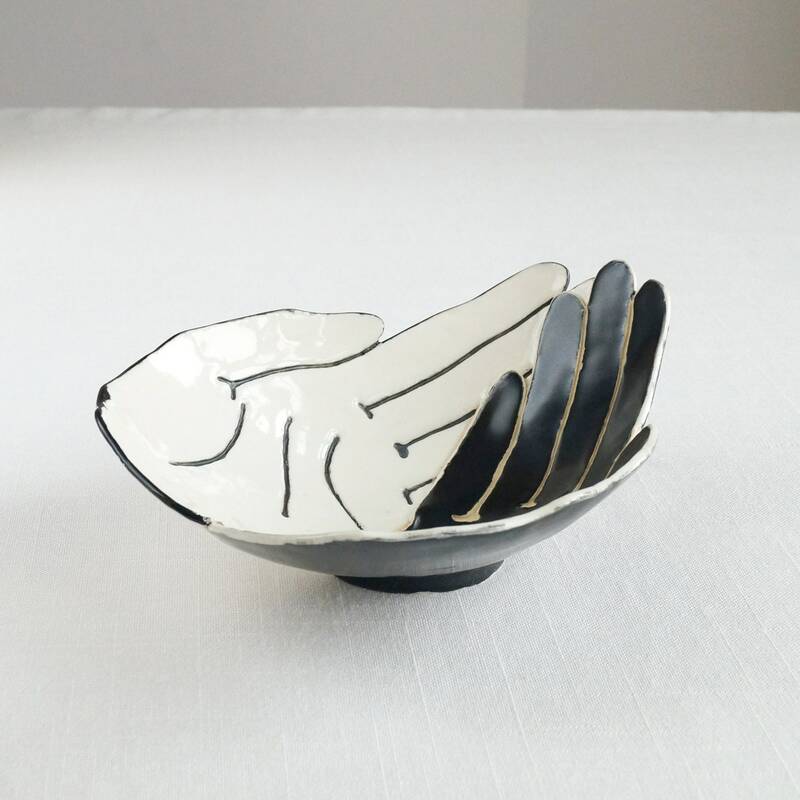 NB This particular bowl has small glaze imperfections where the black and white glazes have run into each other as shown. 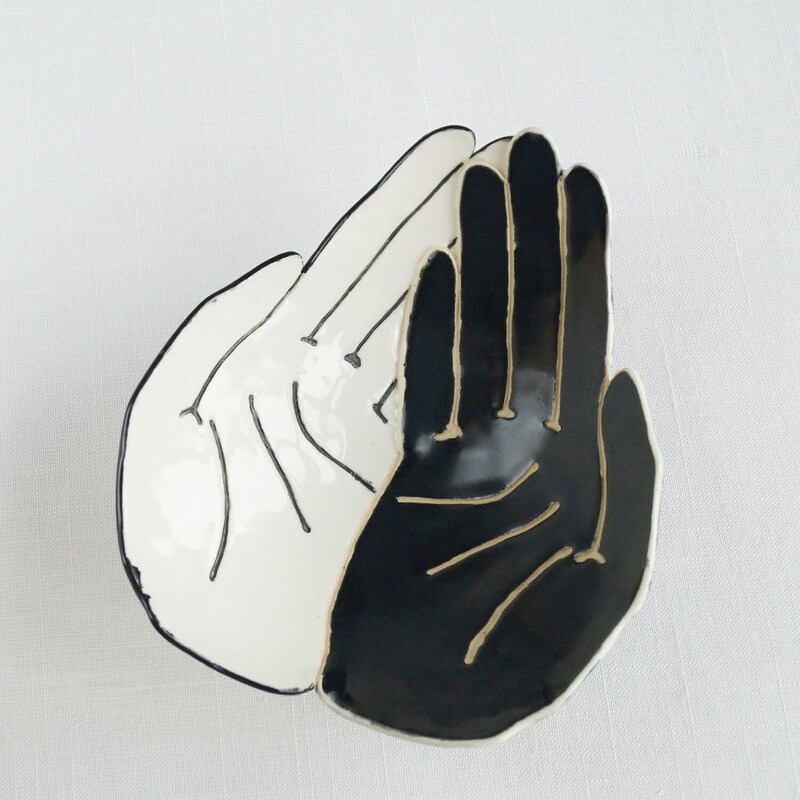 I don't think they are a distraction and actually add to its hand made charm.